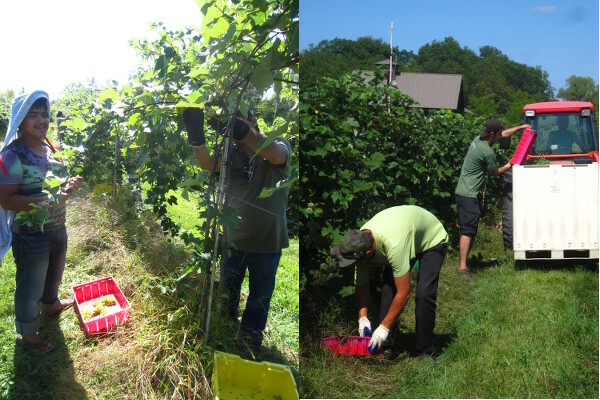 Vineyard staff and others battled the heat this weekend for the first round of grape harvesting! All weekend, vineyard staff tirelessly worked alongside community members and refugees, hand picking and processing our Louise Swenson, a small amount of Marquette for rosé and St. Croix grapes for our oh-so-fittingly-titled "Harvest Widows Revenge". Harvesting is one of the most crucial times of the year and will determine how much wine we will be able to produce for a certain variety. As mentioned, harvesting is no small job and requires the work of many hands. 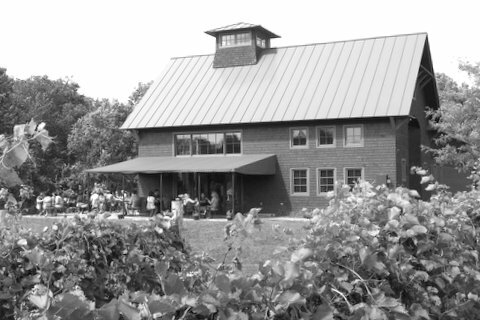 Shelburne Vineyard has done some incredible work with the Refugee Resettlement Organization, hiring refugees from places like Nepal and Butan to help with the harvest. 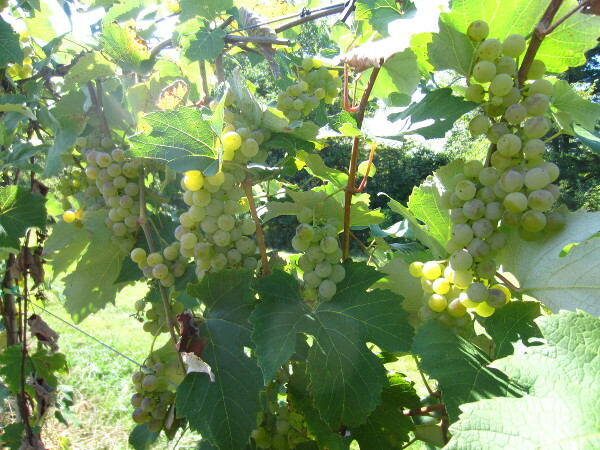 And you heard me right before, hand-picking, meaning each and every little bunch of grapes is cut off the vine with a small tool and then placed into buckets which are then collected and added to a larger bin carried by way of tractor. From early morning to late afternoon, grapes are picked and collected row by row. 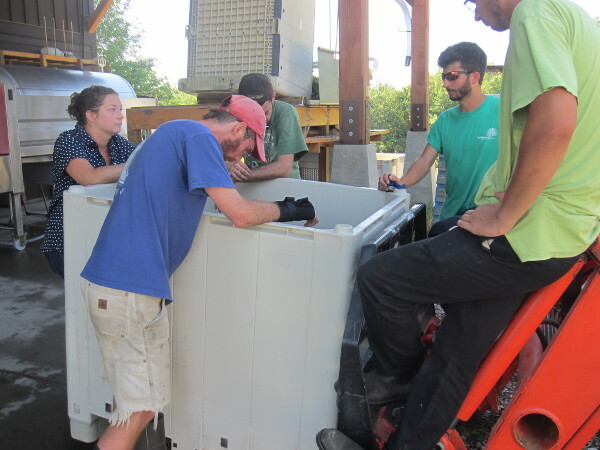 Once the larger bins are full they are brought behind the winery site where they are weighed and then put through the delicately named "CRUSHER", which essentialy gives the grapes a little squeeze and removes the stems. 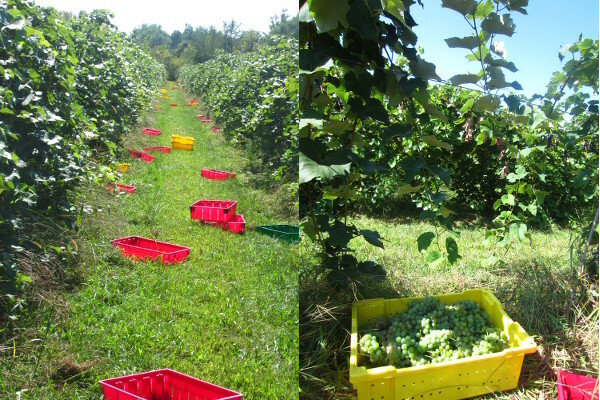 All of the grapes collected this weekend from both our winery site and the Charlotte site weighed a whopping 11 tons! Just to give you an idea, that's enough to produce almost 8,000 bottles of wine! Ethan has a point, after tending to 11 tons of grapes, I too, would require a couple cold ones.